135min. Directed by Clint Eastwood. 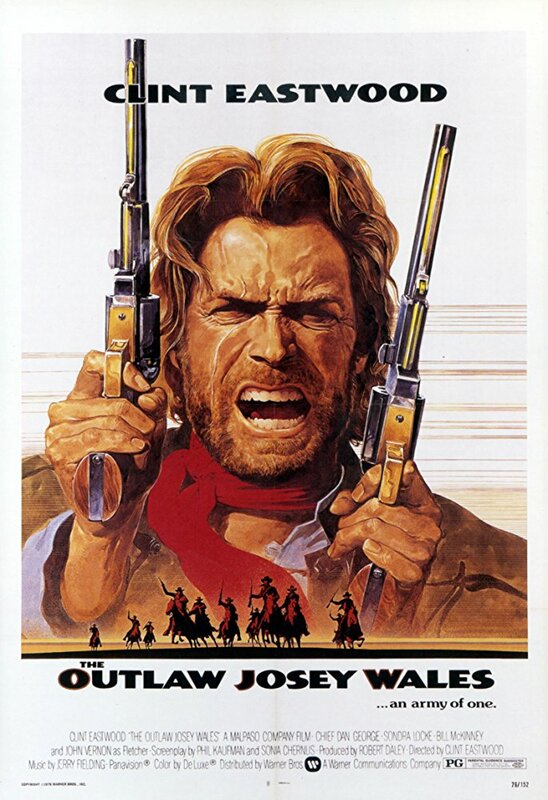 Josey Wales (Clint Eastwood) watches helplessly as his wife and child are murdered, by Union men led by Capt. Terrill (Bill McKinney). Seeking revenge, Wales joins the Confederate Army. He refuses to surrender when the war ends, but his fellow soldiers go to hand over their weapons -- and are massacred by Terrill. Wales guns down some of Terrill's men and flees to Texas, where he tries to make a new life for himself, but the bounty on his head endangers him and his new surrogate family.